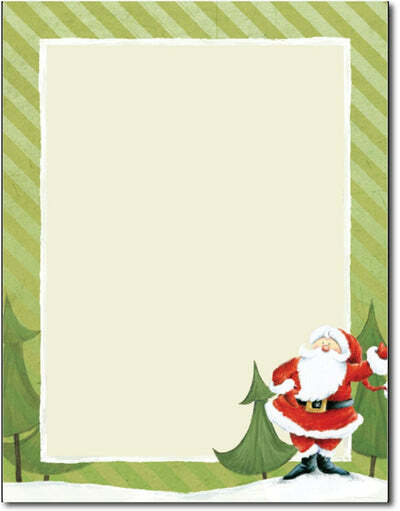 Jolly Santa Claus Stationery Paper is simple but perfect for the holiday season! This stationary paper is bordered and includes Santa Claus in the bottom right corner. Our holiday stationery paper is made from an 8 1/2" x 11" 24lb bond paper. The Santa Claus paper is also acid and linen free. This letterhead is compatible with both inkjet and laser printers.